With the oldest references to the settlement now known as Leiden daing back to the 9th century AD, this unique place has born its identity as a university city since 1575. Set on the margins of the Oude Rijn river, Leiden’s very name — said to originate in the Germanic leitha, or "canal" — reflects the multitude of watery fingertips that keep it whole. This unique place has born its identity as a university city since 1575, when Leiden University (LU) — the oldest university in the Netherlands — was founded by William, Prince of Orange, making Leiden a reference for learning for almost four and a half centuries. Still bearing a close relationship with the Dutch Royal Family, Leiden University has several Royal alumni such as Queens Juliana and Beatrix, as well as King Willem-Alexander. Leiden’s reputation as an academy where knowledge and humanist progress are a luminous beacon in the vast expanse of human experience and date back to the 17th century. During this Dutch Golden Age, intellectual tolerance and a solid academic reputation spreading well beyond its borders definitively made Leiden University the place of higher learning it is today. 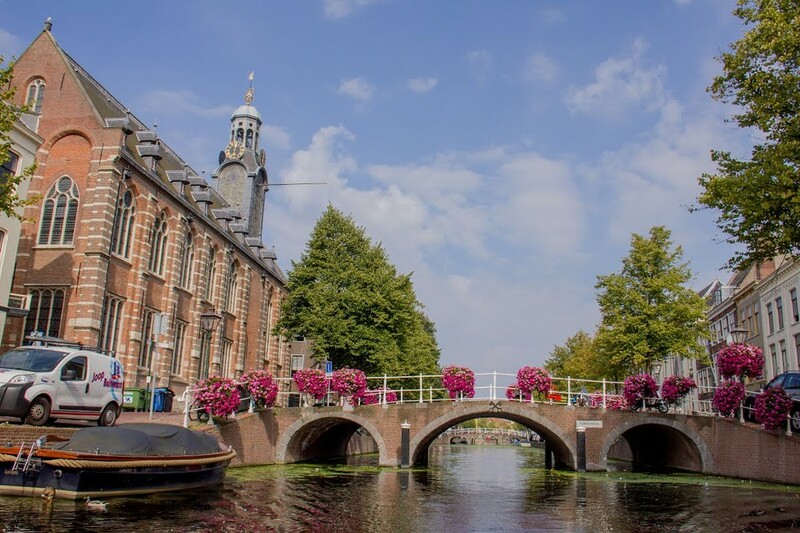 With over 50 departments and a prestigious list of alumni and Nobel laureates, Leiden University consistently ranks, year after year, within the top 100 universities in the world. Associated with Leiden University, composing its medical faculty and constituting its university hospital, Leiden University Medical Center (LUMC) shares the notable history and innovative spirit of LU. As early as the 16th and 17th centuries, medical teaching was practiced in Leiden, making this Dutch city the first urban centre north of the Alps to host a teaching hospital. With a staff of close to 7000 and a clear mission revolving around the pillars of patient care, research and education, while also hosting the Walaeus Library (considered the best medical university library in the country), LUMC brings fundamental biomedical research and applied clinical research harmoniously together, both contributing to patient care and education. Leiden brings this vast academic and clinical experience to UMCure 2020. Strong in the field of Cancer Pathogenesis and Therapy — which aims to translate excellence in basic research in cancer genetics, molecular cell biology and immunology into precision cancer care — LUMC brings the expertise of its Department of Ophthalmology, as well as its laboratories of Ophthalmology and Medical Oncology, to the UMCure 2020 consortium. As contributors to the UMCure 2020 project, both LU and LUMC are using Patient-Derived Xenograft (PDX)-based setups to study UM biology and treatment. LU is assaying personalized drug responses in zebrafish PDX models (ZF-PDX models) whilst also investigating the role of tumour microenvironment in Uveal Melanoma progression and treatment. LUMC is also involved with collection of patient samples (as the Dutch ocular oncology referral centre), evaluation of drug combinations in vitro (though studies in cell lines) as well as in vivo (through PDXs mouse models), and, importantly, in the genetic and immunological characterisation of UM metastases. The LUMC is headed by Dean Professor Dr. Pancras Hogendoorn, a pathologist with decades of experience in tumour molecular genetics, who is also Chairman of the Netherlands Committee on Bone Tumours. The Department of Ophthalmology, headed by Professor Dr. Gregorius Luyten, focuses mainly on ocular oncology patient care. Since 2015, the Department of Ophthalmology is the Netherlands’ Center of Excellence for Uveal Melanoma, an area on which the Department has worked on for over 40 years with practical expertise in brachytherapy and imaging techniques. The clinical relevance of the Department of Ophthalmology is complemented by the Department of Medical Oncology, where patients with metastases are seen, making the Department of Ophthalmology a major international contributor to new trials for metastatic uveal melanoma. Participation from the LUMC also includes Dr. Aart Jochemsen, Associate Professor at the Department of Molecular Cell Biology and a leading Principal Investigator in molecular cancer research whose work has in recent years concentrated on UM, brings to UMCure 2020 his wide experience in genomics technologies and genetic manipulation of cellular systems. Professor Dr. Martine Jager is the research coordinator of the Department of Ophthalmology and a world-renowned expert in the immunology and development of UM, and brings to the consortium experience in developing translational research, as well as on genetic prognostication and identification of potential therapeutic avenues, Professor Jager is a great enthusiast of international research collaboration and is currently President of the International Society of Ocular Oncologists (ISOO). Dr. Pieter van der Velden is Principal Investigator at the Department of Ophthalmology and has extensive experience in the field of melanoma genetics. He is mainly involved in preclinical studies for treatment of UM metastases and on testing biomarkers for UM treatment; for this purpose, a mouse UM xenograft metastasis model has been established to test potential therapeutic options in clinical studies or those already marketed by pharmaceutical companies. Dr. Ellen Kapiteijn, a Physician and Principal Investigator at the Department of Medical Oncology, has participated in several international phase I, II and III systemic therapy studies in metastatic UM, and brings her extensive experience to developing translational research in the treatment of UM. In addition, the laboratories of Ophthalmology and Medical Oncology, part of the Experimental Oncology Laboratory group headed by Professor Dr. Sjoerd H. van der Burg, are recognised worldwide for their work on tumour immunology, especially of uveal melanoma. The knowledge accrued by the Departments of Ophthalmology and Medical Oncology, together with the Departments of Molecular Cell Biology and Clinical Oncology, on research and clinical aspects of metastatic uveal melanoma are complemented by in-house LUMC collaborations with other research areas as important and varied as Radiology and Radiotherapy, Clinical Genetics and Immunohematology. LUMC clinicians and basic researchers participate in many international organisations such as the American Joint Committee on Cancer (AJCC) and The Cancer Genome Atlas (TCGA). At LU, the group of Professor Dr. Ewa Snaar-Jagalska has established zebrafish PDX models to study human cancers in ZF-PDX models. Professor Dr. Snaar-Jagalska is Principal Investigator in the Department of Molecular Cell Biology (MCB) at the Institute of Biology (IBL), which is at the forefront of zebrafish research in cancer biology and immunology. A good example of this is the recently developed automated whole-animal bioimaging platform that allows scientists to evaluate the aggressiveness of human cancers in zebrafish embryos, while screening for drug sensitivity of tumour cells on an individual manner. Professor Dr. Snaar-Jagalska is joined by Professor Dr. Herman Spaink, director of the IBL, whose broad expertise in fluorescent microscopy and molecular genetics is complemented by his role in the development of novel technologies for use in screening zebrafish for cellular functions (essential in researching UM biology). Dr. Annemarie Meijer is an expert on innate immunity signaling in zebrafish, and her group was among the first to validate zebrafish as a model for immunity research, whilst developing zebrafish genomic tools, such as microarrays. With the standing of Leiden University as an internationally regarded biomedical research institution, and Leiden University Medical Centre as an integrative unit where education, research and patient care excel under one roof, Leiden is a vital European center for cancer research and treatment. LUMC sets its mission at an international level with collaborations and consortia spanning the whole breadth of the medical sciences. There is only way of treating and curing rare diseases — standing together for a common cause — and Leiden is such a luminous hub for it.